Originally bred in Chile by a father and son team, our Something Blue potatoes have a unique, beautiful contrast of colors—yellow flesh with purple streaks and bright blue/purple skin. 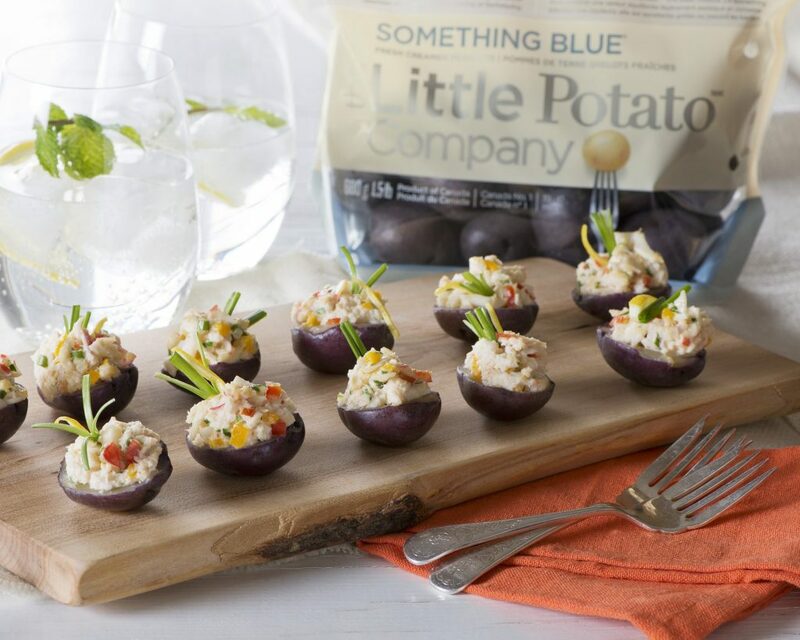 There are many reasons we love our Something Blue potatoes and know you will, too! Here are some fun flavor and nutrition facts, along with our newest Something Blue potato recipes for you to enjoy. Something Blue potatoes are a unique find in your grocery store’s produce aisle or department. Delivering a well-balanced and slightly exotic flavor, they pair well with strong flavors like your favorite cut of beef / steak, lamb, seafood and more. Give them a try at your next meal to wow your guests. We do eat with our eyes! What better way to do so than add Something Blue, bold and beautiful to your meal presentation. With regal colors of bright blue/purple skin and yellow flesh with purple streaks inside, these Little Potatoes are bound to win your guests over on presentation and excite everyone as they go for seconds. 3. Great color retention – they stay blue after cooking! 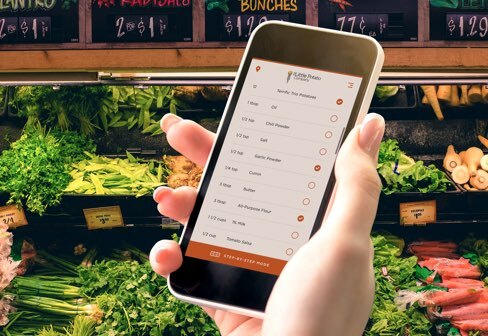 Have you bought gorgeous produce from the store with vibrant colors and then take them home to cook and the plate presentation just isn’t the same? Well, our Something Blue potatoes are not like that, they have great color retention. After you cook them, the beautiful, bold blue/purple color is retained. We recommend enjoying these roasted or grilled for the best results! 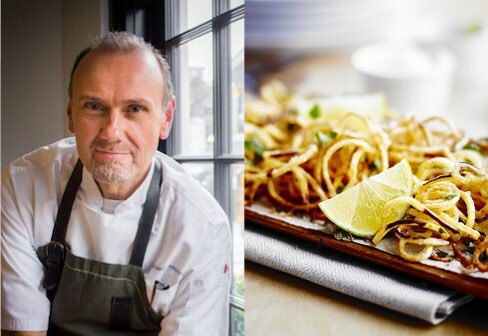 Coveted by adventurous chefs and home cooks. The Something Blue variety is a great source of potassium and fiber. Not only do you enjoy the exotic flavor and bold color, these Little Potatoes are a triple threat – serving up nutrition value and satisfying your hungry guests. Something Blue is available across Canada and the U.S. at select retailer locations. 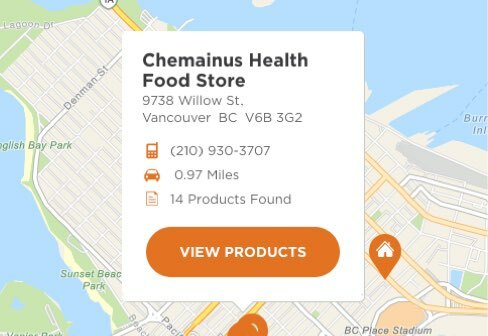 If you want to know where to find them in your neighborhood, email us at [email protected] to inquire. If your local retailer doesn’t have Something Blue, you can also look for our Terrific Trio—a mix of three varieties in one bag, including Something Blue! Try one of these three recipes to delight your guests at any meal, from Crab and Crunch Bites to Salmon Skewers on the grill, or another twist on roasted little potatoes. For endless inspiration of recipes, visit our Recipe Center anytime and try one of our many Creamer Potato recipes. 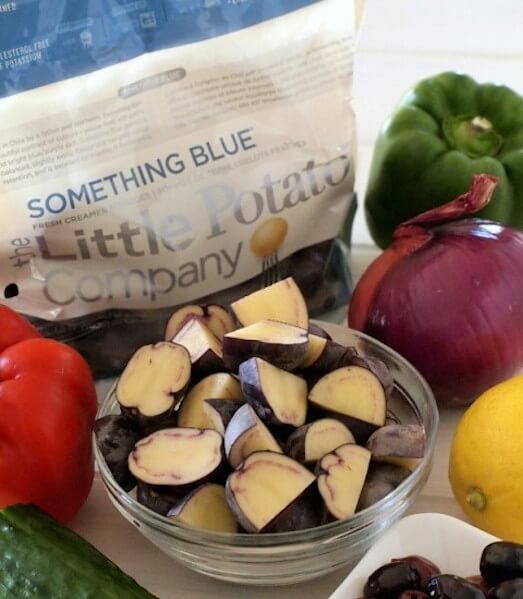 Something Blue potatoes are easy to cook too, just like all our Creamer potatoes. You can boil them in 15 minutes, bake or roast them in the oven, or you can grill them! We love the grilled and roasted options best. Here are our three favorites starring Something Blue. This recipe yields 40 bites of deliciousness but you could easily double this recipe if you have a hungry bunch to feed. 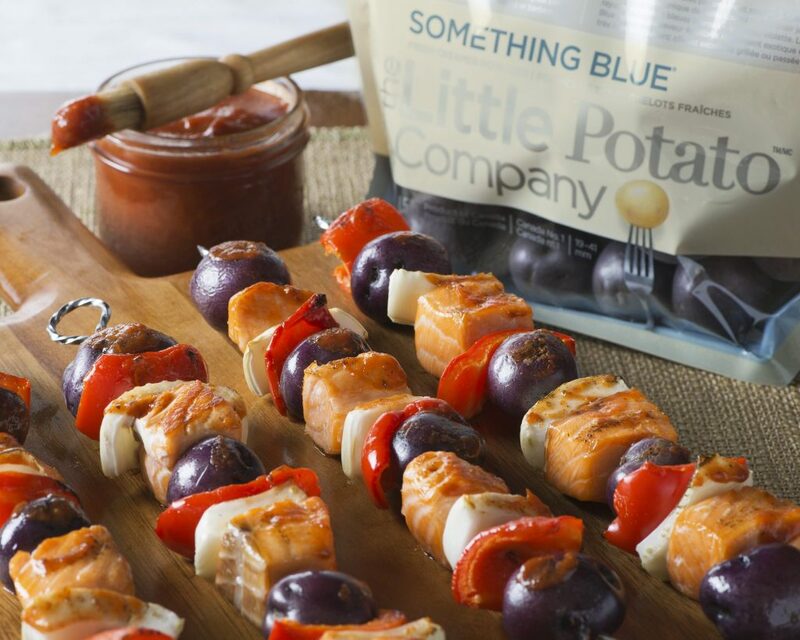 Something Blue Little Potatoes are the perfect size and texture for barbecuing. The combination of peppers, fennel, and blue Creamer potatoes with smoky glaze makes a deliciously colorful platter. Fire up your grill and enjoy these rainbow skewers of delight in just 30 minutes from start to finish! Flavors from the south of France are perfectly matched with the nutty sweetness of Something Blue Little Potatoes. Serve warm or at room temperature ‘al fresco’. Garnish with shaved Parmesan and chopped basil leaves, then serve hot or at room temperature. You can enjoy this dish in just 30 minutes too. Which recipe will you try tonight? 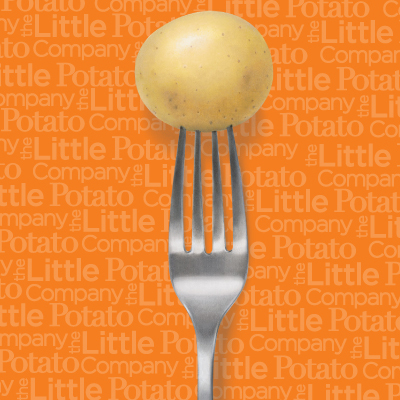 Share with us on social media by tagging us @LittlePotatoCo and #LittlePotatoes. We love to see how you will enjoy Creamer potatoes at your next meal!